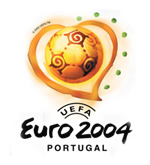 Many pundits were suggesting that Euro 2004 was our best chance of winning at international tournament since Italia ‘90. Who would have doubted them—Beckham, Owen, Scholes, Campbell—the old guard, backed up with some impressive young talent in the shape of Wayne Rooney, Frank Lampard, Ashley Cole and John Terry. The first game against France was the game everyone was looking forward too, and England didn’t disappoint. After 80 minutes we were beating the holders 1-0 and not by fluke either. The ball was being passed and the team seemed together. But a missed penalty from Beckham before Zidane snatched the game from under our noses in the dying minutes left a country in shock—one that only 2 hours ago was perhaps willing to accept a defeat. I went away from that first match shocked and disappointed yet somehow pleased, and ever more hopeful. The team seemed hopeful too—full of belief, and this saw comprehensive wins over the Swiss and against Croatia, and moved us comfortably forward into the Quarter finals. Those two games further highlighted the emergence of Wayne Rooney. No fear, just wanting to score goals. From the press attention you would think he was single handily responsible for England’s fortunes. Given that him limping off the pitch in the game against Portugal signalled the beginning of the end, you be hard pushed not to agree. That Quarter final, like all other such clashes in these competitions saw history repeating itself. Name any incident in the last 10 years and it happened again in this match. Remember running round screaming thinking Sol Campbell had scored against Argentina during France ‘98? Pearce/Southgate/Batty missing a penalty? It was all here. As soon as the whistle went after extra time you felt you knew the result. If, like me, you were thinking the curse had to be broken one year and this could be it, you where soon left looking a bit silly. Yet did England deserved to win that match—I would have to say no. Portugal were the better team, even given the fact they had every decision given in their favour. They were allowed to run riot, and every time England gained the ball (if they didn’t lose control) they ended up penalised. It has to be said, even given my bias, Urs Meier is a shocking referee. Concluding on England’s performance, yet again the team seemed tired, and so the same must be said for Ericsson’s substitutions. When playing against tactical genius Phil Scolari they are highlighted even more so. But then lets not forget his achievements, the first time we had got this far on foreign soil, and you know, we nearly did it. Maybe, just maybe, luck will be on our side in Germany in 2006. And the only conceivable way of getting there will be under Sven-Göran Eriksson’s stewardship. They beat the hosts. An upset. They beat the holders (France) in the Quarter Finals. A shock. They then went on to beat the favourites (Czech Republic). Another shock—but it still seemed unlikely that could go on to win again against the hosts in the final. But they did. Its hard to believe but true—Greece are European Champions. It was a pleasure to see the Portuguese leave without a smile on their faces, and well done Greece—you very much deserve it.